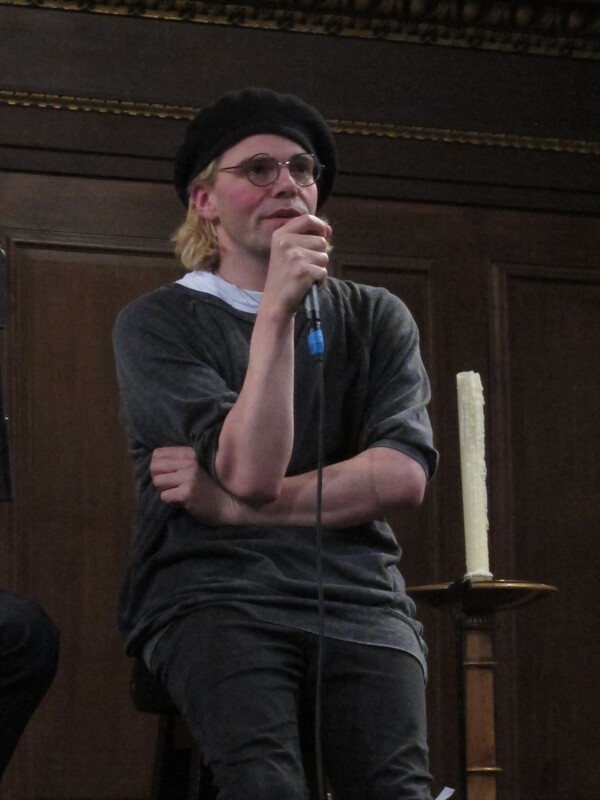 Charlatans lead singer Tim Burgess launched his autobiography Telling Stories this week at a special event at St James’ Church in Piccadilly. Reading extracts from his book, Burgess revealed snippets of life on the road with a rock band, which as most of us have long suspected appears to involve long and convoluted attempts to smuggle banned substances across borders on a tour bus, with “many a nook and cranny” for such things. On one occasion, such was the frenzy of micro-engineering and logistics in hiding The Charlatans’ drug paraphernalia inside a stereo system, that the band didn’t realise they had passed the border seventeen miles previously. On the Channel Tunnel. The reading Burgess gave coupled with a swift flick through the book reveals that Burgess indeed has great stories to tell, and is a good (and funny) writer to boot. Following the reading Burgess was joined onstage by journalist Ben Marshall for a talk about some of the books highlights, including the story that I suspect the book will become known for: namely an incident where the band blow cocaine up each other’s er, behinds. As Marshall asked, at what point do you get so jaded with drug use that you revert to that!? I asked Burgess whether he had read any other rock biographies and how did he think his book might compare to them? Q. Writing lyrics or writing the book? What was more poignant for you? Q. Regarding the recent Guardian story suggesting Rob Collins possibly leaving the band (Collins died in a car crash in 1996): were there more good times with him or bad times? A. With Rob? It was all good times, really. I don’t think he was really going to leave the band. I just think there was a moment where it had to be addressed whether he was going to be in the band or not because even though he was the star player it was his destructive nature that was coming to the front. Q. What was the best album you think you wrote? Q. Is there a difference to the performance you give when you are high on drugs compared with now? Q. Being part of the Manchester scene in the nineties, and having Bez and Shaun Ryder doing reality TV: What do you make of that? A. Just before Alan McGee stopped managing the Charlatans he said I should go on Celebrity Big Brother and that was his parting shot to me, and I said “No ****ing way!”. Q. 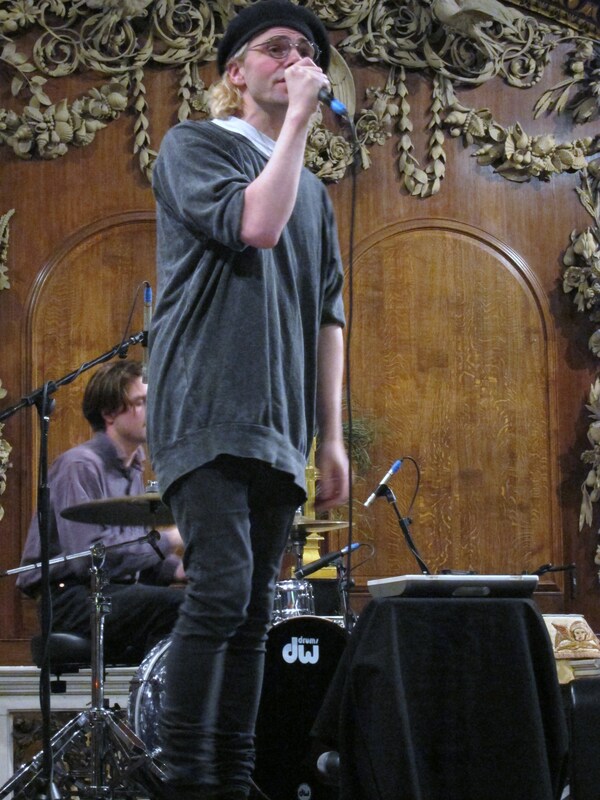 Can you ever imagine splitting The Charlatans up? Q. How’s the health now of John Brookes (Brookes was diagnosed with a brain tumour in 2010)? Q. You’ve got a nice back catalogue: Is there one favourite song you have, and one you just churn out for the fans? A. I really like Senses because it’s really huge, sprawling…epic. I really like a song called Bird for the opposite reason – it’s the shortest song we ever wrote – probably the sweetest as well. Oh, and Telling Stories – the track. Bored? It’s never been like that. We did stop playing The Only One I Know because it felt like a karaoke version of ourselves. And then we brought it back and it sounded better – probably a wise move to give it a rest. 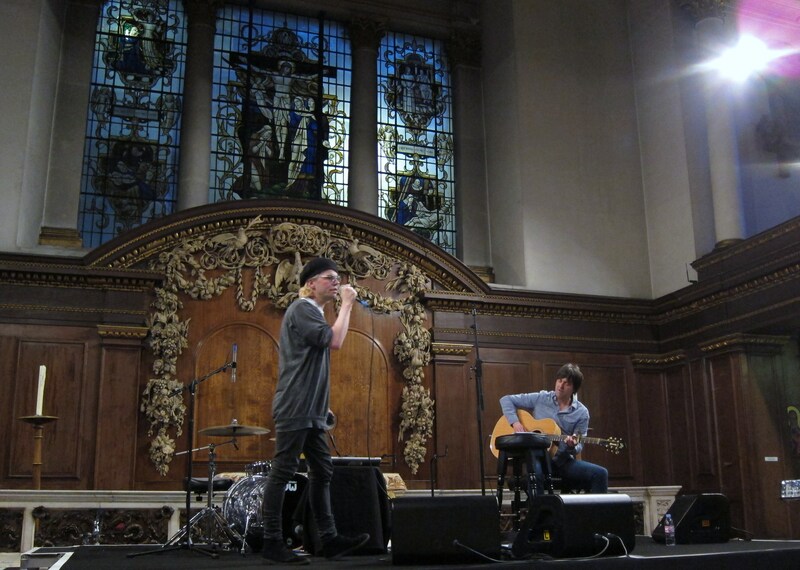 Finally, Burgess sang acoustic versions of Charlatans classics The Only One I Know and Impossible followed by two new songs. A great night! I first heard The Charlatans on holiday in Kavos (classy, I know), on the Island of Corfu in 1990. It was late in the season, and I wasn’t much of a clubber, being more of a Guns n Roses fan, but the mouse-ridden hotel room was cheap, the sun was hot and the holidays reps only slightly irritating. 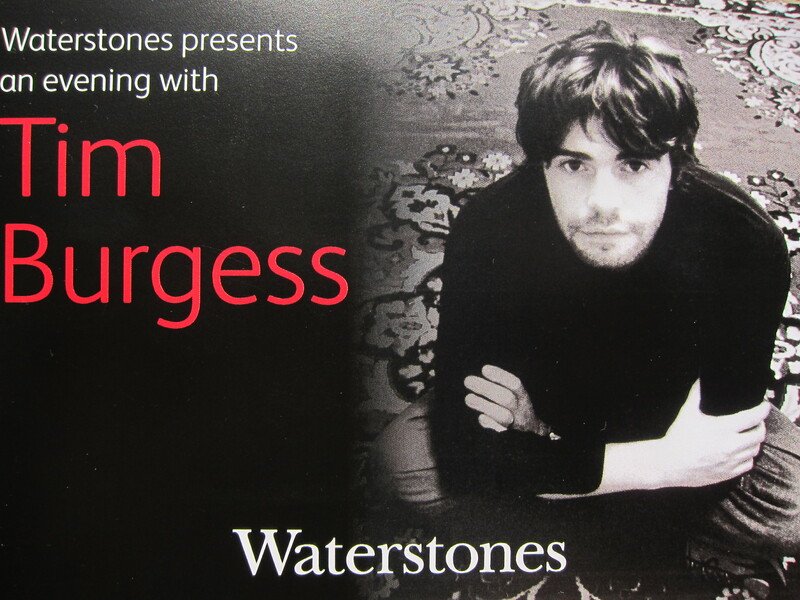 Telling Stories by Tim Burgess is published today. It’s surprising to me that a church let some guy on the alter telling stories about shoving cocaine up his and his friends asses. It’s a working church? From the pictures, it looks awesome. You know…here in the States they are known as ‘The Charlatans UK’. I guess there was already a band here called The Charlatans, so they had to adjust the name. You’re right, The Only One I Know is a great song! Thanks for reading. It is a lovely building – where William Blake was baptised – and has a famously liberal vicar. There were one or two moments where the subject matter didn’t quite match up to the surroundings!